Cake Byte: CakeSpy Artwork at Trophy Cupcakes Starting December 5! Breaking Cake News! CakeSpy is having another art show at Trophy Cupcakes! The first one this summer was such a success that they have asked for more cupcake art to get them through the holiday season! Saturday, December 5, from 6-8 p.m. 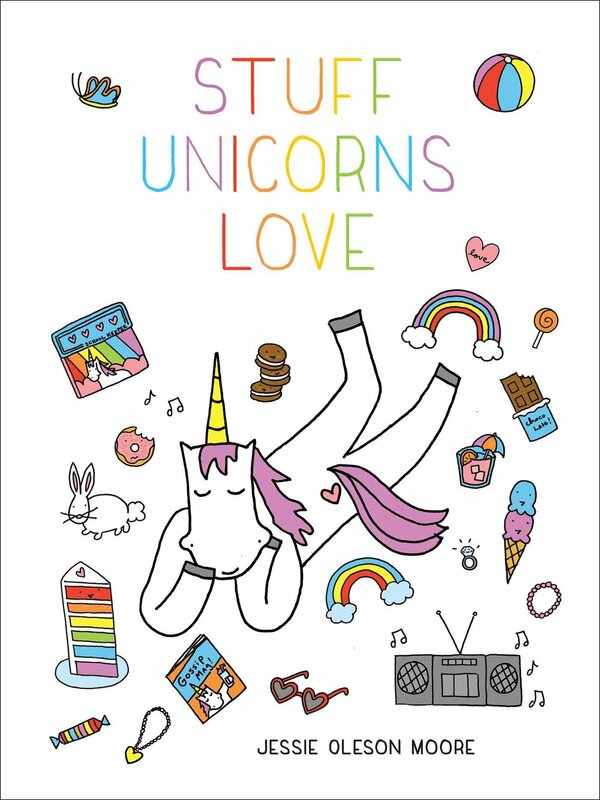 There will be plenty of awesome artwork and of course a limited supply of free cupcakes! There will be over 80 new paintings featuring cupcakes (and even some other foods!) 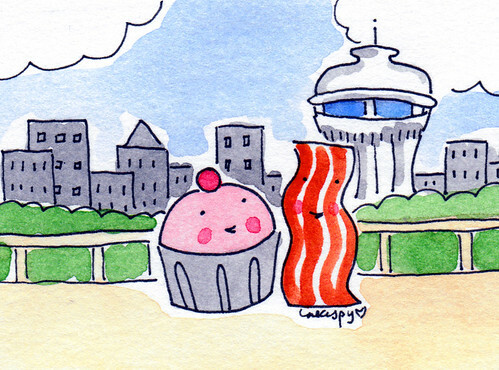 in all sorts of sweet (and sometimes bittersweet) situations, and many illustrations including Seattle landmarks. Of course if you can't make the reception, the artwork will be up all month long in Wallingford, through January 2, so you can pick up sweet gifts for your friends, neighbors, family and maybe even your sweet self all December long!